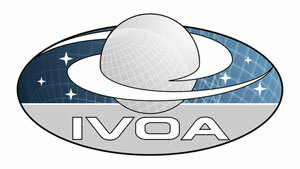 An application that queries or consumes descriptions of VO resources must be able to recognize a resource's support for standard IVOA protocols. This specification describes how to describe a services that supports three fundemental data access protocols--Simple Cone Search (SCS), Simple Image Access (SIA), and Simple Spectral Access (SSA)--using the VOResource XML encoding standard. A key part of this specification is the set of VOResource XML extension schemas that define new metadata that are specific to those protocols. This document describes in particular rules for describing such services within the context of IVOA Registries and data discovery as well as the VO Stadard Interface (VOSI) and service self-description. In particular, this document spells out the essential mark-up needed to identify support for a standard protocol and the base URL required to access the interface that supports that protocol. They are called "simple" because a typical query can be formed using only a few search parameters encoded into a URL (i.e. an HTTP GET request). Their power for data discovery comes from the ability of an application to form a single query according to the rules of one of these protocols and send it to all known services which support that protocol. The results collected from all those services, in effect then, represent all matching data of that type known to the VO. Thus, the key for an application wishing to do a comprehensive search of the VO is to discover all of the services that support the particular standard protocol. The application may wish to plan its use of the service according its limitations, such as the maximum region of sky that can be search in one query. It is important to note that the relevent behavioral differences between separate services that support a common protocol--and thus the metadata used to describe those behaviors--will be specific to that protocol. That is, the ability to create image cut-outs is irrelevent to the Simple Cone Search protocol. Consequently, it is necessary to define protocol-specific metadata to adequately describe a service's support for that protocol. This document defines such capability metadata for SCS, SIA, and SSA. This document describes, for each of the standard data access protocols SCS, SIA, and SSA, precisely how to describe a service that supports one of the protocol using the VOResource XML encoding standard [VOR]. This specification is intended to be applicable whereever VOResource records are used, but in particular, it is intended as the standard for encoding resource descriptions within an IVOA-compliant registry [RI] and for encoding capability metadata available through the VO Standard Interface [VOSI]. Except where noted in subsequent sections, this specification does not allow imply support for any other versions (including later versions) than the ones noted above. To be recognized as a service, the DAL service resource must be described as a resource type of vr:Service (defined in the VOResource schema [VOR]) or one of its legal sub-types. As specified in the VOResource specification [VOR], the resource type is set by setting the xsi:type attribute on the element representing the root of the VOResource record to the namespace-qualified resource type name. As the DAL services respond to queries with tables of available data products, the resource should set the resource type to vs:CatalogService (defined in the VODataService extension schema [VDS]. In this case, record authors are encouraged to include coverage information (via the <coverage> element) and a full description of the columns in the table returned in query response (assuming full verbosity). The VOResource record must include a <capability> element that describes the services support for the DAL protocol. The contents of the element is described in the next section. In all cases, the value of the <capability> element's standardID unambiguosly identifies the service's support for the particular DAL protocol. The resource may include other <capability> elements to describe support for other protocols. Semantic Meaning: The largest search radius, in degrees, that will be accepted by the service without returning an error condition. Semantic Meaning: The largest number of records that the service will return. Semantic Meaning: A query that will result in at least on matched record that can be used to test the service. Semantic Meaning: The maximum image query region size, expressed in decimal degrees. A value of 360 degrees indicates that there is no limit and the entire data collection (entire sky) can be queried. Semantic Meaning: The maximum image query region size, expressed in decimal degrees. A value of 360 degrees indicates that there is no limit and the entire data collection (entire sky) can be requested. Semantic Meaning: The largest image (in terms of pixels) that can be requested. Semantic Meaning: The largest number of records that the Image Query web method will return. Semantic Meaning: The category specifying where the data originally came from. Semantic Meaning: The category that describes the process used to produce the dataset. Allowed values are "archival", "cutout", "filtered", "mosaic", "projection", "spectralExtraction", "catalogExtraction"
Semantic Meaning: The largest number of records that the service will return when the MAXREC parameter not specified in the query input. Semantic Meaning: The largest aperture that can be supported upon request via the APERTURE input parameter by a service that supports the special extraction creation method. A value of 180 (the default) means there is no theoretical limit. Allowed values are "survey", "pointed", "custom", "theory", "artificial"